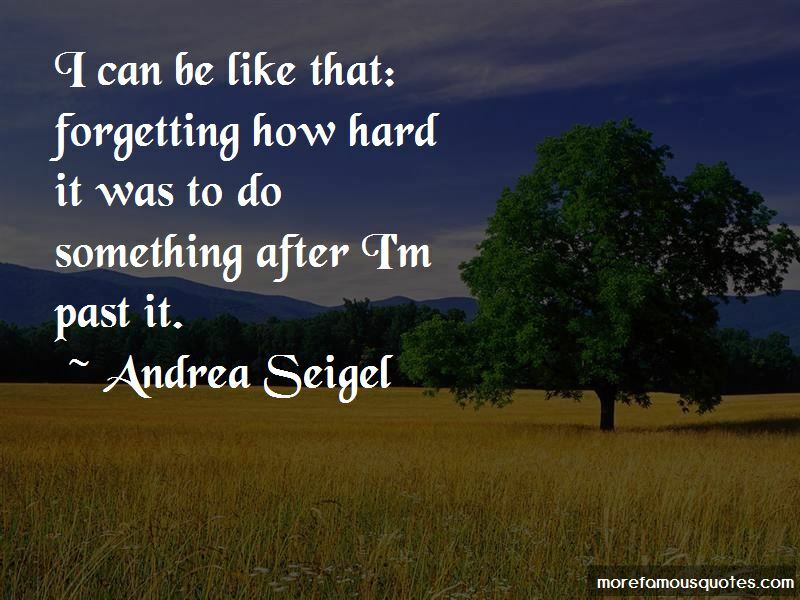 Enjoy the top 42 famous quotes, sayings and quotations by Andrea Seigel. There's nothing essentially romantic about things like roses or jewelry. Romance starts as some blank concept, and then you just fill it in with objects so you have something to point to when you want to make it real. You don't ever know how happy you are until you remember how sad you once were and vice versa. Nothing is anything until I decide to hold nothing next to something, and declare that I see a difference. And the sad happiness said, You know precisely when you're going to finish. I was an anxious kid. I worried about getting homework finished, even back when homework didn't count for anything. I've dreamed of having my French bulldog become a bestselling children's heroine. Irvine, being a planned community, is really good shorthand, especially in a movie or book, for understanding suburban pressures. I was 11 years old when I saw the first season of 'The Real World.' Initially, I was drawn to the show because it was what I imagined the adult version of my life should be. Irvine is such a safe, stable, planned community, and I'm a person who has a lot of inner longing for drama and romance. So I think in some way the structure of Irvine made me more creative because I had these boundaries, and I thought outside them. The first time I ever heard professional actors delivering lines that I wrote was completely surreal and was just a gigantic moment in my life. It was just a little bit mind-blowing and completely strange to have something that had been on my computer being said out loud. What 'Survivor' is really about is the inescapability of your being yourself, even when you have told yourself you can be someone different for 30 days. 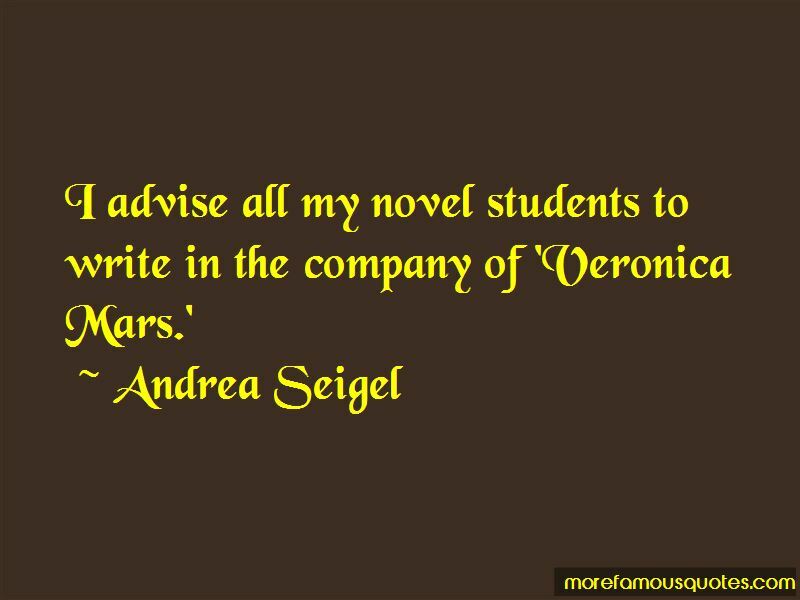 Want to see more pictures of Andrea Seigel quotes? 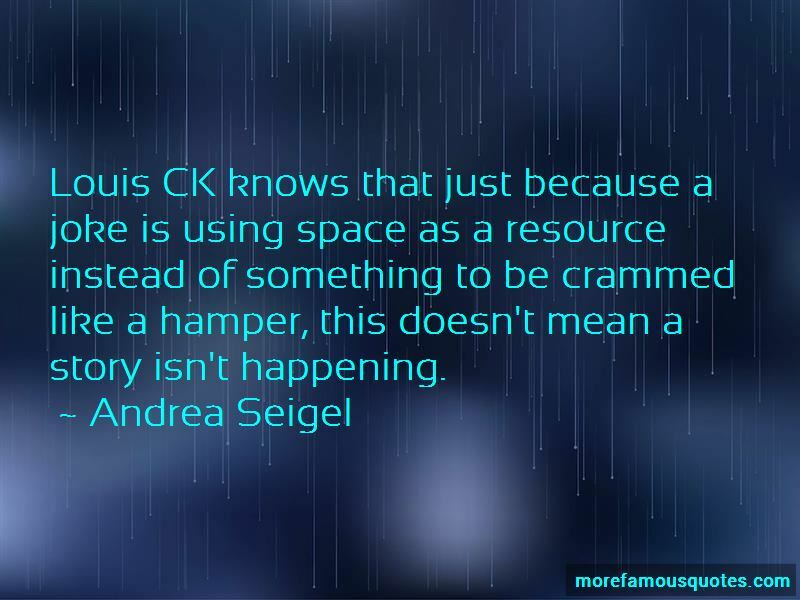 Click on image of Andrea Seigel quotes to view full size.